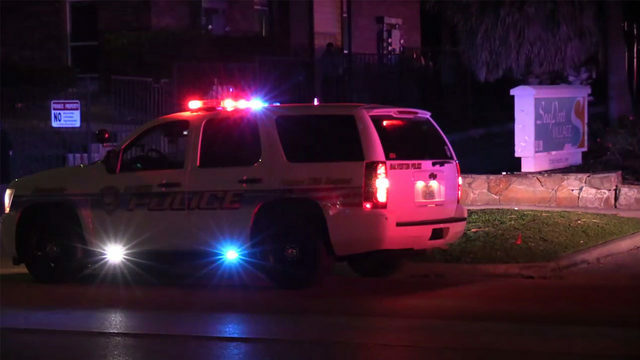 HOUSTON - Everyone seems to have Astros World Series fever. We noticed Astros items popping up everywhere and wanted to give you a look. Who knows? Maybe you'll want to add them to your World Series/Astros collection. We’re going to go from the most expensive to the least. 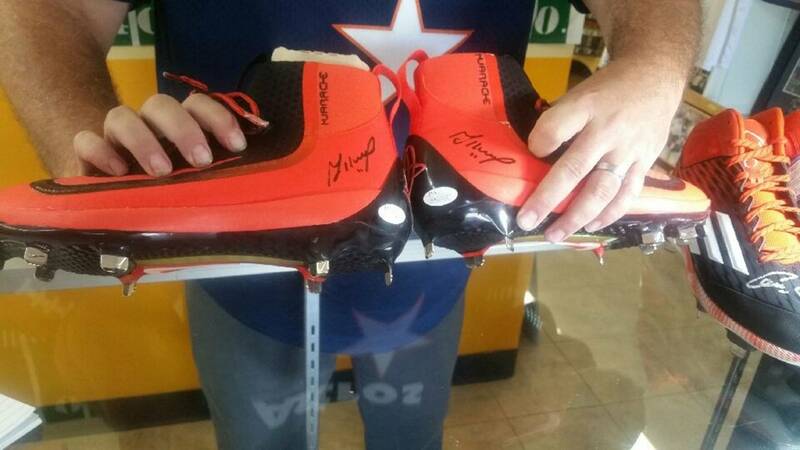 We found these Altuve and Correa signed cleats at R&A Sports in Conroe. They go for $700 a pair. The sizes mirror the sizes that the famous players wear. The Altuve pair is a size 9. The Correa pair is a size 13 1/2. Now, if we could just play like them if we wore them. That would be a really good deal! These are being sold at the Minute Maid Team Store, on line, etc. They are super cute. 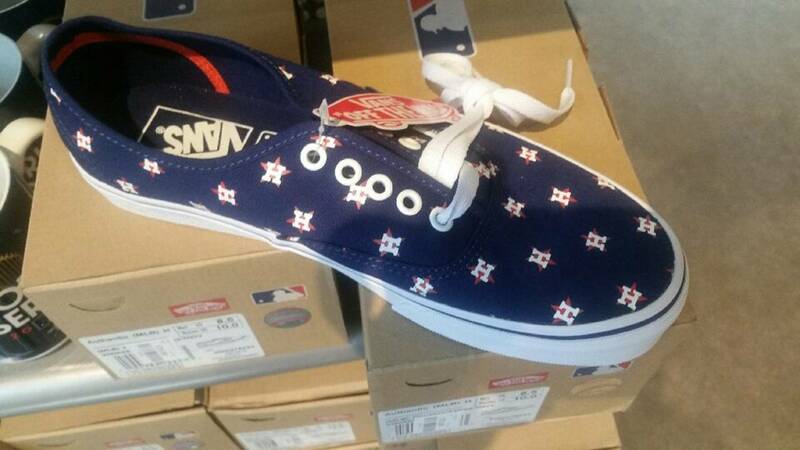 If you can’t see it, the navy ones that look like they have stars on them? They each have an H in the middle of the stars. Very cute. The orange one is fun too…great for a super-dedicated fan. They range in price from $78 to $250, depending on the size of the handbag. 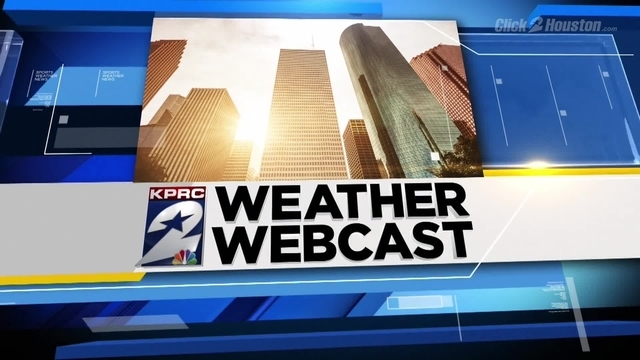 Did you come early to a World Series game to enjoy the pre-game festivities? Maybe you can pull out one of these to pass the time. 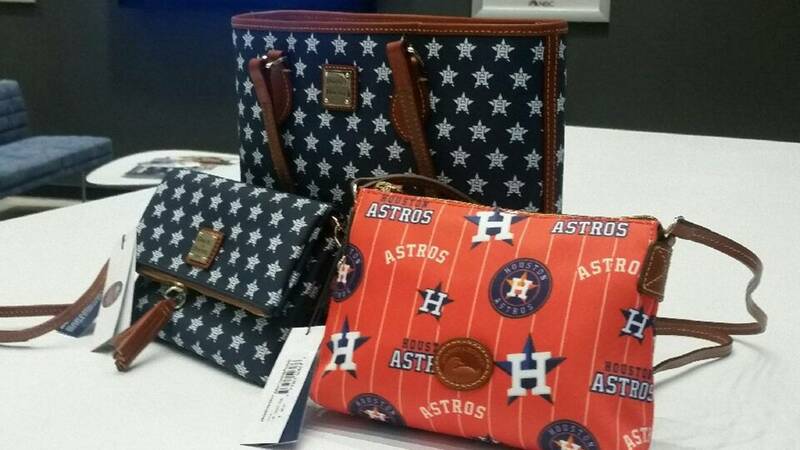 This Houston Astros tailgate toss set retails for about $200. Come on … these are adorable. Found them in the Team Store. Only about $75. OK, this one, I gave an A+ to for unusualness. Shows team spirit down to your toes literally. They were about $40. We know you’re going to be pulling out your phone for that World Series Astros Home run catch in the stands so here’s your chance to give your phone some Astros love. Found it for $14.99 online. OK, you may want to start your little baseball player on one of these – a Houston Astros pacifier. It’s not only adorable, it may help you have some quiet time as you watch the game! Here’s to no nail-biting moments but just in case, we’ve seen Astros fidget spinners out there. Lastly, there are so many delicious things being cooked up in the Astros' honor. 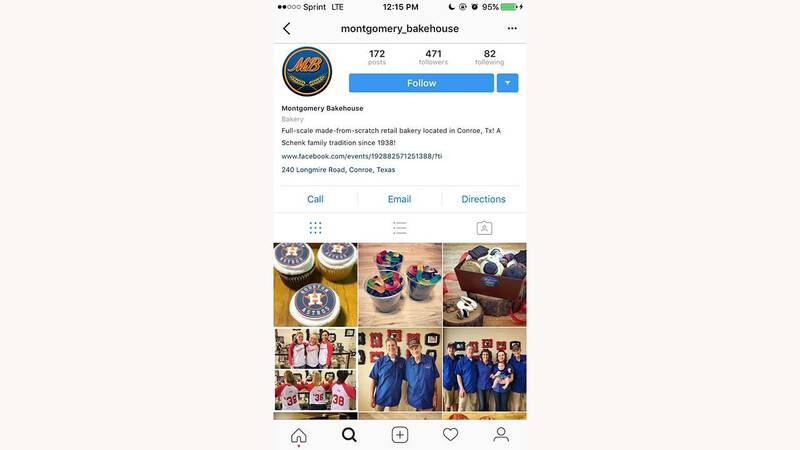 We found these sweet treats at Montgomery Bakery in Conroe. We know Three Brothers Bakery and Ooh, la, la Bakery are carrying Astros treats too, but, they’ve all been running out fast. People are scooping them up!